Podiatry is a branch of medicine that deals with health issues concerning the lower legs, ankles, and feet. Like any other branch of medicine, podiatry includes both preventive and curative forms of treatment for different types of ailments. Podiatry also includes long-term courses of treatment for chronic conditions that affect the ankle and foot. Podiatry was previously referred to as chiropody. The name was changed in 1993 to reflect the increasing role this particular healthcare segment plays in overall health and well-being of patients. Today, podiatry is a very serious and focused medical discipline that is made up of thousands of specialized doctors known as Podiatrists. Podiatrists are basically specialized clinical and surgical doctors that are highly trained and experienced in the diagnosis and treatment of a wide range of health issues concerning, the lower leg (below the knee), ankle and foot. These specialized doctors are also qualified to offer advice on footwear, preventing infections and injuries as well as relieving foot pain. As you can see, podiatrists have a very unique and crucial role to play in every person’s health and well-being. Podiatry, as a branch of medicine, is also quite diverse. The diversity is evident in the different types of sub-disciplines it has. Some of the key sub-disciplines in this branch of medicine include; pediatrics or diabetes management, sports health and medicine, foot and lower leg dermatology, surgery and many more. Podiatrists, therefore, have several roles and responsibilities in their daily work. They begin by assisting people with the prevention of health problems that affect their ankles and feet. They provide patients with crucial information on self-care and foot management. You would be surprised by the wealth of information you can get from these highly trained specialists regarding how to take care of your feet and lower legs. 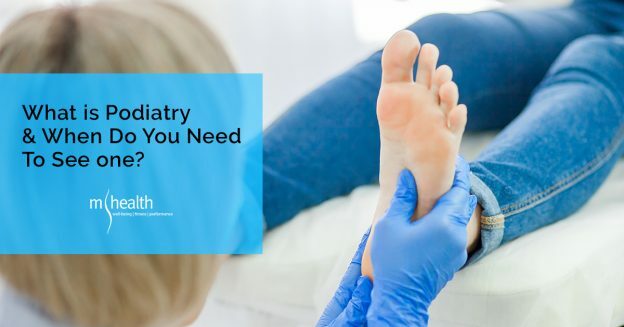 If you experience pain, inflammation, discomfort or any adverse symptoms in your feet or lower legs, it is highly recommended that you visit a Podiatrist. 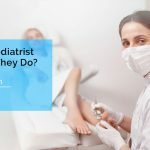 A podiatrist is able to diagnose whatever the ailment is that is troubling you. They are also able to provide you with an appropriate course of treatment and aftercare. You can find a registered and qualified podiatrist in any major hospital near you. Some of the patients who go to hospitals complaining of pain, inflammation or discomfort in their feet may have sustained minor or severe fractures. These fractures or broken bones need to be carefully examined and diagnosed before a proper course of treatment can be determined. Toenail issues are quite common. Some of the most common toenail problems include overly thick toenails, ingrown toenails, and toenails that have been blighted by a fungal infection. Podiatrists are trained to provide special laser treatment procedures that can rectify most toenail issues. These are general problems that affect the feet. These are also very common and include conditions like athlete’s foot, calluses, bunions, corns, verrucas, and many others. Most of these foot problems tend to cause a lot of discomfort, pain, swelling, and even embarrassment. Luckily, podiatrists are able to diagnose and identify the root causes of most of these issues. They then go ahead and provide suitable treatment options. Fallen arches or flat feet are another health condition that podiatrists commonly deal with. Patients suffering from this problem require extensive treatment and aftercare. Treatment involves attempting to change the structure of the foot using various techniques such as surgery. If this is not possible, a podiatrist can help provide some much-needed relief to the patient by prescribing orthotics. Orthotics are specially designed to show inserts such as heel cushions, arch supports, and insoles that are meant to provide comfort to the wearer. Podiatrists are also trained in the evaluation and assessment of different types of footwear. These professionals look at various criteria like support, comfort, weight, and durability. Everyone from small kids to adults can visit a podiatrist to get sound advice on the best shoes to wear, especially if you have a pre-existing foot problem. You now know what podiatry is and what a podiatrist can do for you! This entry was posted in Tips Physiotherapy & Osteopathy Melbourne on September 23, 2018 by MHEALTH.